WhatsApp messages may be the new medium of spam, replacing those annoying text messages you've been inundated with for years. In a bid to make money off its platform in India, WhatsApp is getting into the game of business accounts. "WhatsApp is exploring ways for you to communicate with the businesses that matter to you," read a post on WhatsApp's website. "Some business accounts have been verified by WhatsApp. If you see a green badge next to a contact's name, it means that WhatsApp has confirmed that the phone number of this contact belongs to a business account." WhatsApp users will be informed when they are talking to a business with “yellow messages inside a chat". Contacts will work the same way they do. "If you already have a business's phone number saved in your address book, the name you will see is the name you have saved in your address book. If you don't have a business's phone number saved in your address book, the name you will see is the name the business has chosen for themselves." WhatsApp has said that 'business verification' will be limited to a small number of businesses during the pilot program. One of the businesses that have signed on to be a 'launch' partner is none other than ticketing agent BookMyShow. India's favourite messaging platform has over 200 million active users and WhatsApp along with BookMyShow are looking to cash in on this base. The move isn't expected to take place overnight. It is expected to be fully integrated within a few months, and help business build a more interactive relationship with their consumers. I can confirm the Bookmyshow bit is real. Try it yourself on WhatsApp. Telecom operators in India will soon be feeling the heat as the Facebook-owned messaging platform lures subscribers away from their traditional den of texts. Indians sent over 1.4 billion messages through WhatsApp alone last year and that number is set to increase in 2017. Traditional texts are not being replaced by WhatsApp, but merely transferred over. 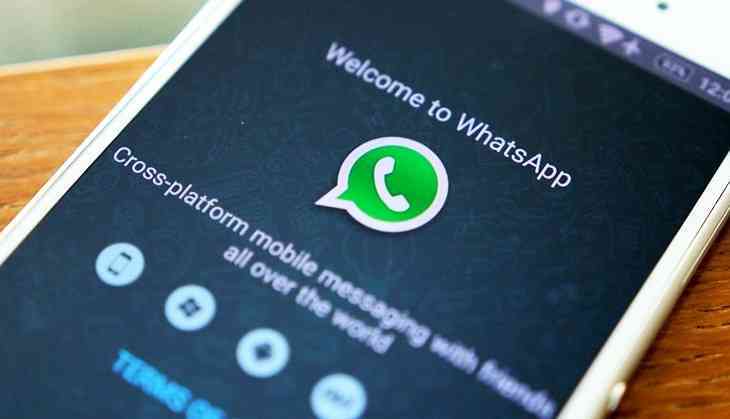 For WhatsApp, this is a way to generate revenue on a platform that is free to its subscribers. Charging these businesses is one way to show profits. This new experiment is especially significant as their previous move to charge annual subscription fees failed. For BookMyShow, WhatsApp is a platform for it to send ticket confirmations and ,eventually, use it as a platform for customers’ feedback. According to a report from FactorDaily, WhatsApp is in talks with a few other companies. "WhatsApp is in talks with other companies such as Uber’s local rival Ola and hotel rooms aggregator OYO, and some airline companies." For Ola, they may start sending invoices and one-time passwords (OTP) through the platform while OYO will use it for sending booking confirmations. Two private airlines are also in discussions with WhatsApp. WhatsApp could also just launch a separate app specifically for these businesses to use. There is a job listing for a 'technical specialist' for someone whose responsibility is to "become an expert in the WhatsApp Business App for Android". This could be just like Facebook's Pages system. Giving businesses their own outlet to communicate directly with their consumers is a win-win scenario for both sides.